Last month we observed 9.118 bottles of single malt whisky getting a new owner. In exchange no less than 4,37 Mio. EUR were transferred. For comparison, in October 2017 we observed 8.500 trades for around 3,2 Mio. EUR. As a matter of fact, never before did we observe so many trades and such a high trading volume within a single round of auctions! By far the most traded single malt was the Highland Park The Dolphins release. In October 2018 alone we observed 115 bottles traded. The prices averaged to 64 EUR. The most expensive trades of course belong to the Macallan 50yo 2018 Release. At ScotchWhiskyAuction.com (SWA) this unicorn reached 69.800 EUR and at WhiskyAuctioneer.com (WAE) even 72.300 EUR! So what about the historically 500 most traded single malts? 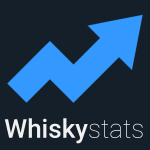 They gained 1,6% in value and consequently our Whiskystats Whisky Index moved from 207,34 to 210,7 index points. Once again this marks an all-time peak for our major secondary market index. So how does this break down to the different scotch single malt regions we distinguish? For each of these regions we determine the historically 100 most traded whiskies. The change in value of those bottlings then define the index movements. To get the most out of these indices make sure you correctly interpret those values by reading through the The Whiskystats Indices article. So what do we see? Well, the historically 100 most traded Islay bottlings gained 3,8% in value which brings our Islay index above its February 2018 peak. We see that the Lowlands and the Highlands are still battling hard for the third place among the scotch whisky regions (from a whisky collector´s point of view). And we see that our Campbeltown index shows a pretty constant upward movement. From September 2017 to October 2018 it gained almost 26% leaving the Islands well behind and honestly aiming to break through the 150 point threshold. Looking at our monthly updated distillery ranking we see that there was not a lot of movement within the top ten distilleries except Port Ellen taking back position eight from Ardbeg. Further down the list we see that the most traded Clynelish bottlings gained 13,4% in value last month. This brought Clynelish up two steps to now reside on place 24 out of 76. And also its sibling distillery Brora gained significantly as the value of the most traded Brora´s increased by 4,34%. When we look at the indices of Brora and Clynelish side by side we notice that both gained significantly during the last couple of months. From April to October our Clynelish index went up by more than 30%. The same is true for Brora, where our index moved from 223 to 290 index points within the same six months period. To make these figures more accessible we picked out some of the whiskies that drive these indices. Take the Brora 30yo (1972) Old & Rare from Douglas Laing to start with. The last trade came from one year ago in October 2017 when one of these 222 bottles was sold for 3.000 EUR. This month the price tag reached 5.100 EUR! But that is not the only Brora which gained significant value this month. The Brora 30yo 2009 Release is now trading for more than 1.200 EUR. And there are the Brora 22yo (1972) and the Brora 21yo (1977) from the Rare Malts Selection series. Both these bottlings reached new all-time record prices this month as they now trade for 8.100 EUR and 1.300 EUR respectively. And what about Clynelish? For Clynelish we have another member of the Rare Malts Selection family that was driving the distillerie´s index this month. The Clynelish 24yo (1972) more than doubled in price since January 2018 as it was now sold for over 1.600 EUR. Another example for outstanding price observations is the Clynelish 29yo (1965). It was only last month when this whisky traded for 4.000 EUR. This month, a bidder at WAE was willing to pay well above 6.000 Euros! Same is true for the Clynelish 35yo (1971). Traded for 1.100 EUR last month this whisky now achieved 1.750 EUR. So everything is shiny and all prices go up? Of course not. Take the Lagavulin 16yo Special Boat Service release. This whisky was sold at WAE in May 2018 for around 2.600 Euros. This month, at SWA, it only achieved 750 EUR. But then again, also at SWA it was sold for 1.300 EUR only in January this year. Seems like market participants do not get their head around what this whisky should be trading for. Another, and probably more affordable, example for a whisky that got cheaper this month is the Bruichladdich 11yo (2003) Life is a Circus release. About half a year ago prices for this whisky were well above 200 EUR. Now it dropped to only 107 EUR. As always do not forget to recheck on the latest value of your personal whisky collection! 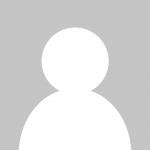 This topic contains 2 replies, has 2 voices, and was last updated by Whiskystats 4 months, 2 weeks ago. Most of the discussion here relates to the price of Whisky sold in the bottle. Does anyone know if there is a similar discussion anywhere regarding the price of maturing Whisky in the Cask? Sorry couldn’t see how to add a new thread at the top level hence posting the message here. This reply was modified 4 months, 2 weeks ago by Nick Causton. the reason we don’t cover casks on Whiskystats is that we simply do not have a sufficient number of price observations. Also each cask is a living “product”, i.e. the quality of the whisky inside changes over time. For bottled whisky this is (usually) not the case. However, if we get our hands on some cask trading data we would love to analyse it!